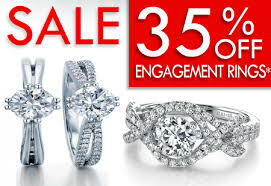 Bridal Jewelry Eton, Wedding Bands chagrin falls, Diamond Engagement rings bainbridge, bridal jewelry northeast ohio, diamond engagement rings chagrin valley, woodmere. This is a big moment in your life! Congratulations! We understand that having the perfect diamond engagement ring to celebrate your union is important to both of you. At first, it can be overwhelming when faced with all the detailed choices that are part of the purchase process. Here at Bella Design Jewelers, we believe in the importance of careful attention to detail, personal craftsmanship, and the importance of fulfilling your dream of the perfect diamond engagement ring to celebrate your relationship. We enjoy sharing our expertise as Cleveland jewelers and designers to help you navigate the many details and decisions that will create the best ring for you and for her. Shop Simon G here! Shop Gottlieb & Sons, here!